At Northway we operate state-of-the-art work cells designed to meet a wide variety of needs. Your ONLINE ORDER is seamlessly imported into our automation software thereby eliminating costly data entry or take-off errors. 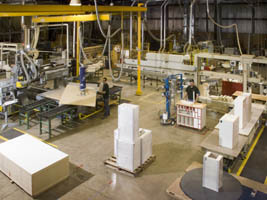 From here your job is ready to be called up, optimized and sent to a CNC router. 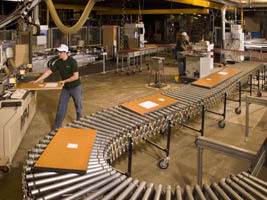 Machined parts are bar code labeled for a downstream operation such as edging, doweling, and assembly.